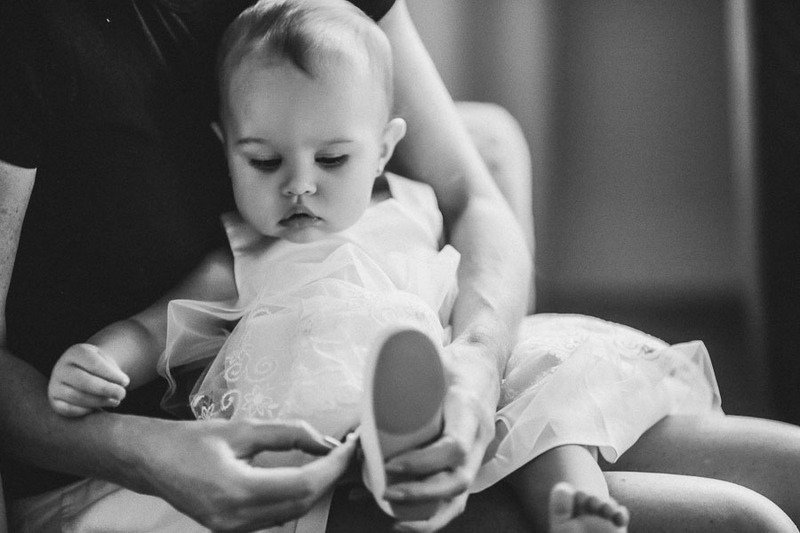 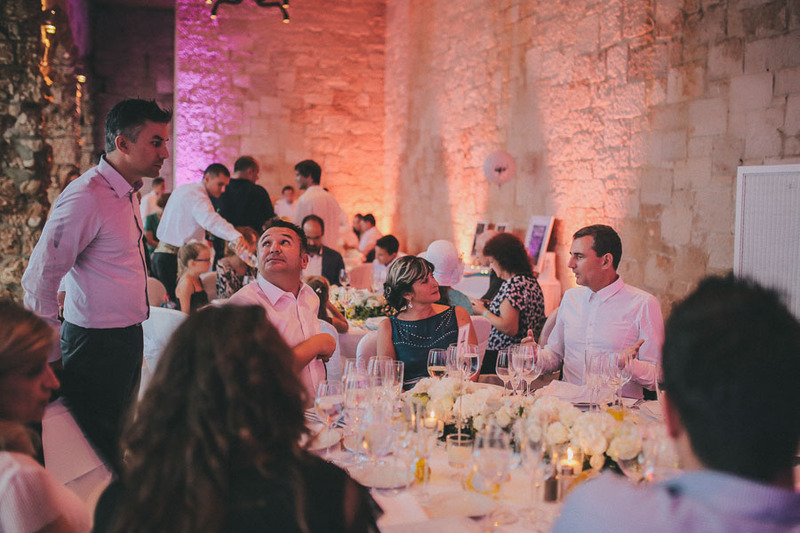 Weddings like this one always remain a special memory to me. 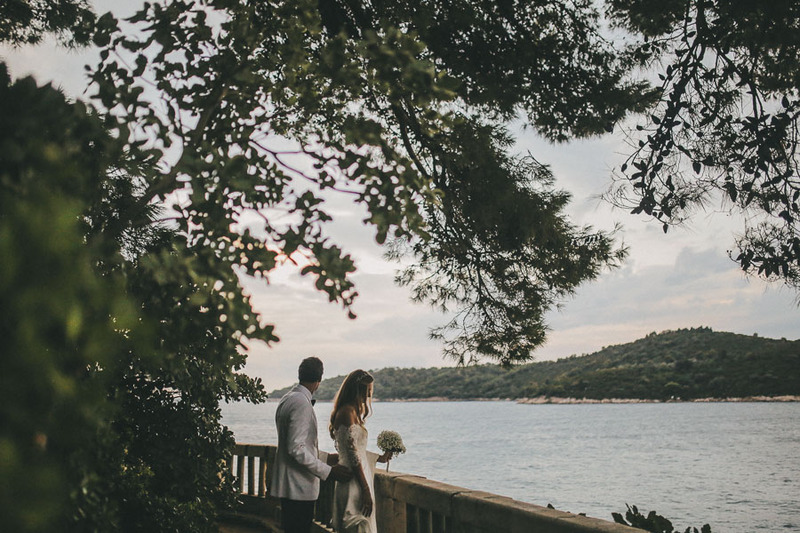 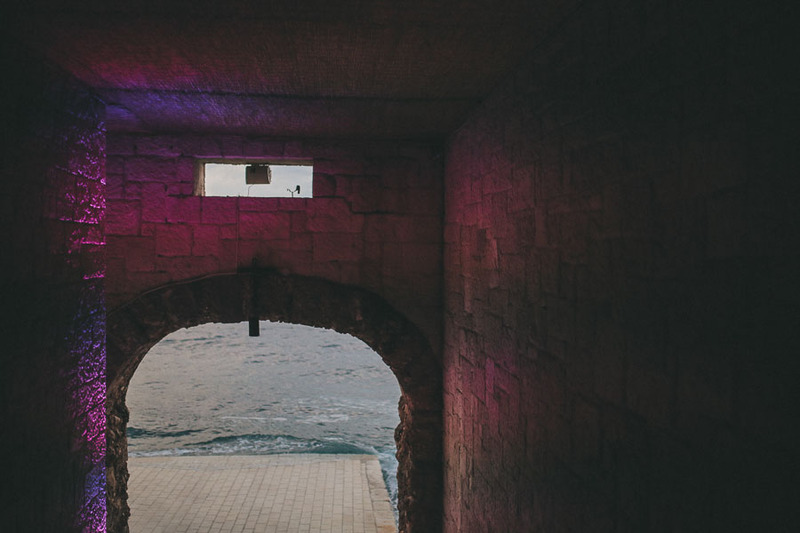 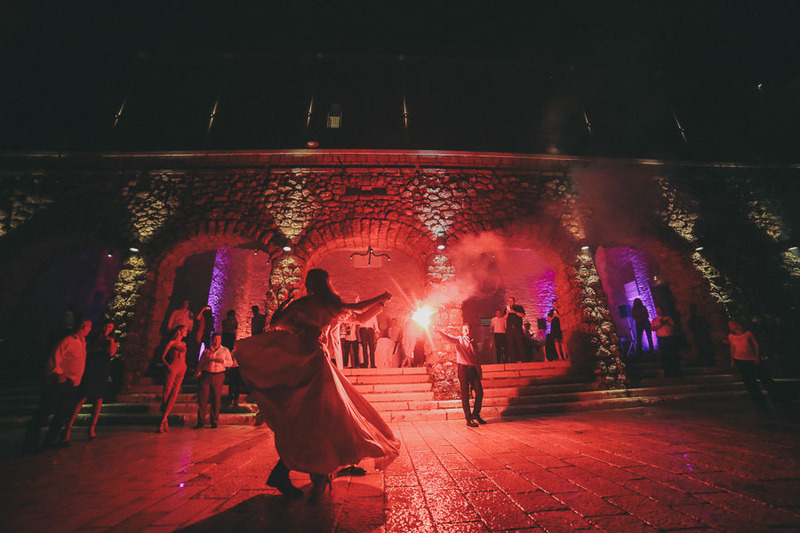 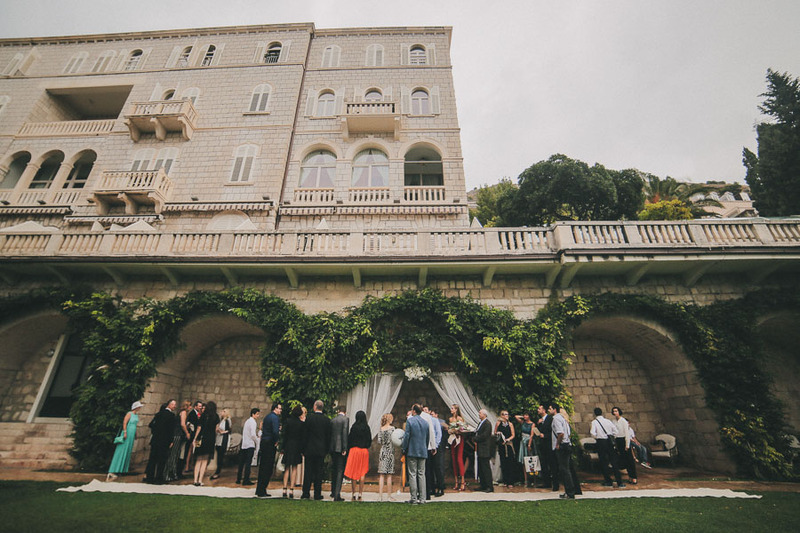 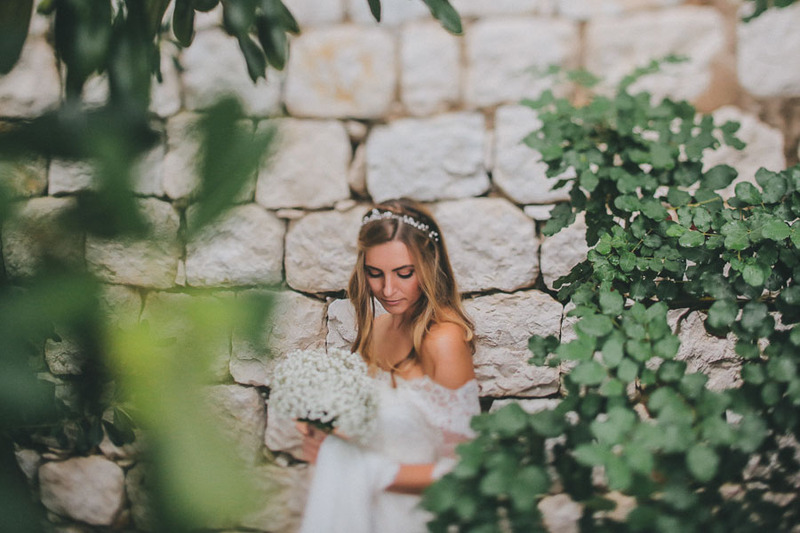 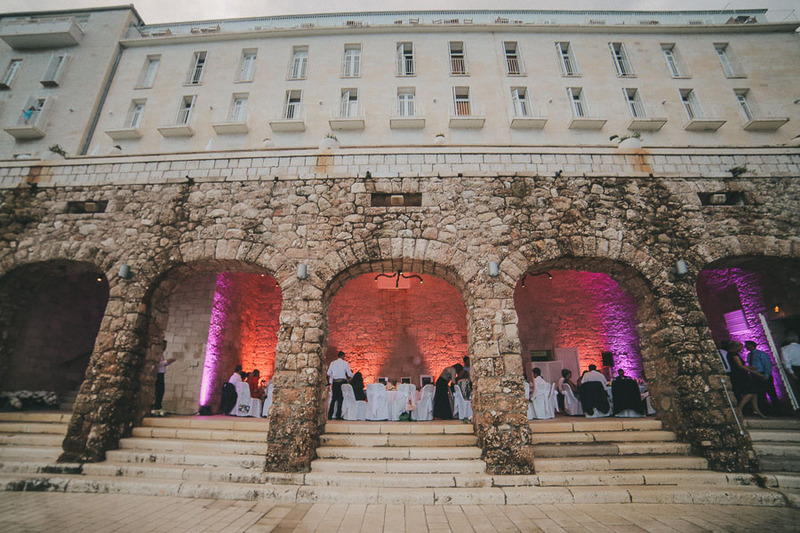 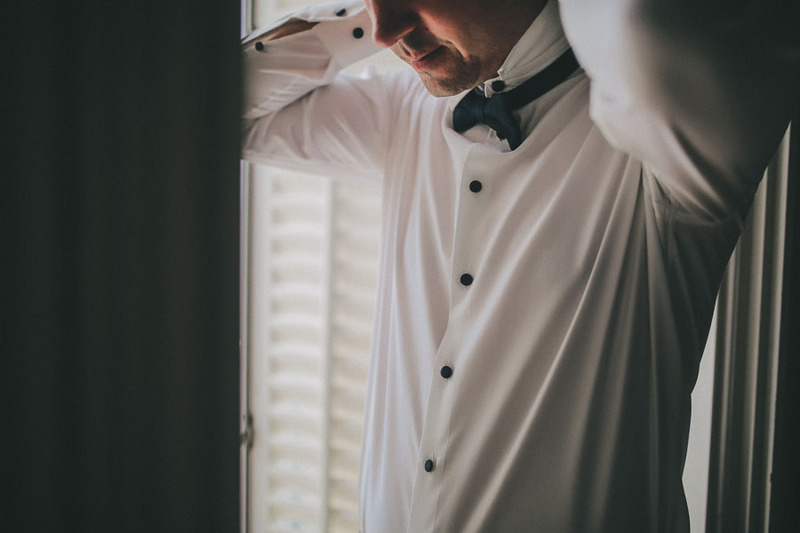 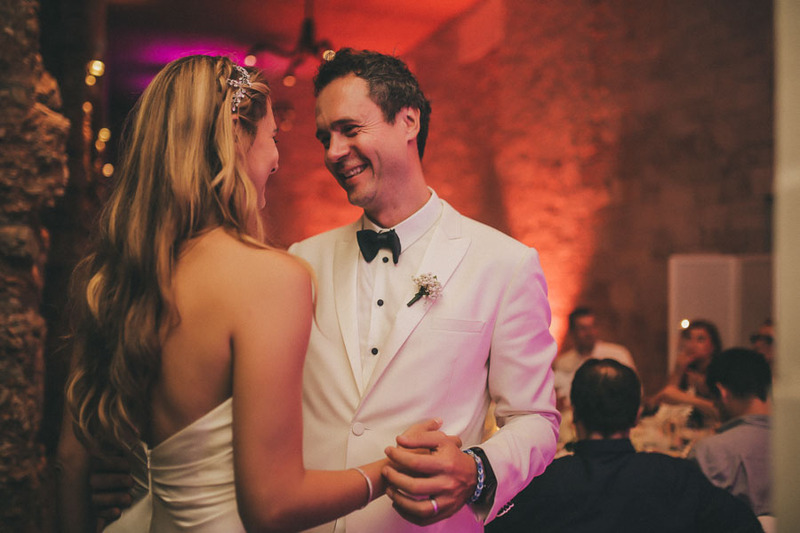 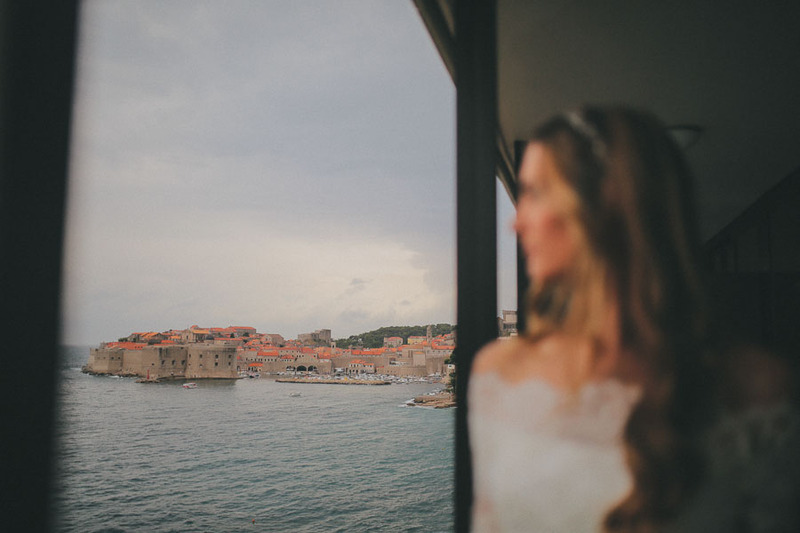 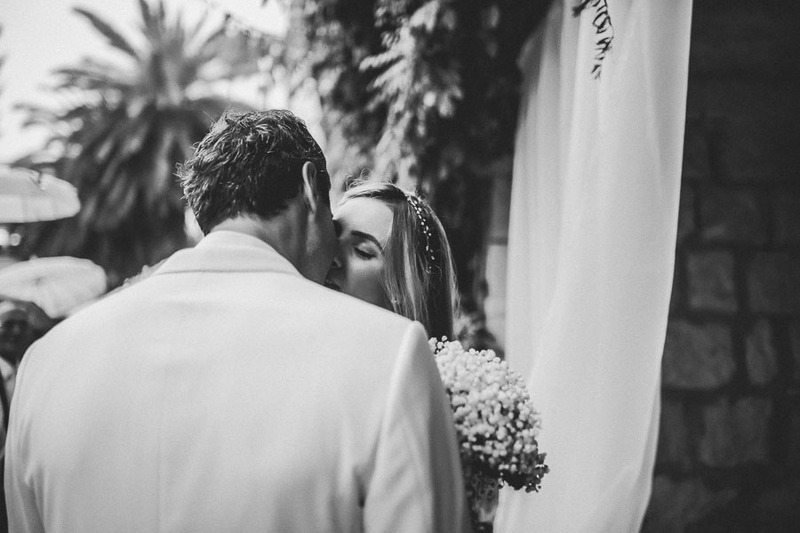 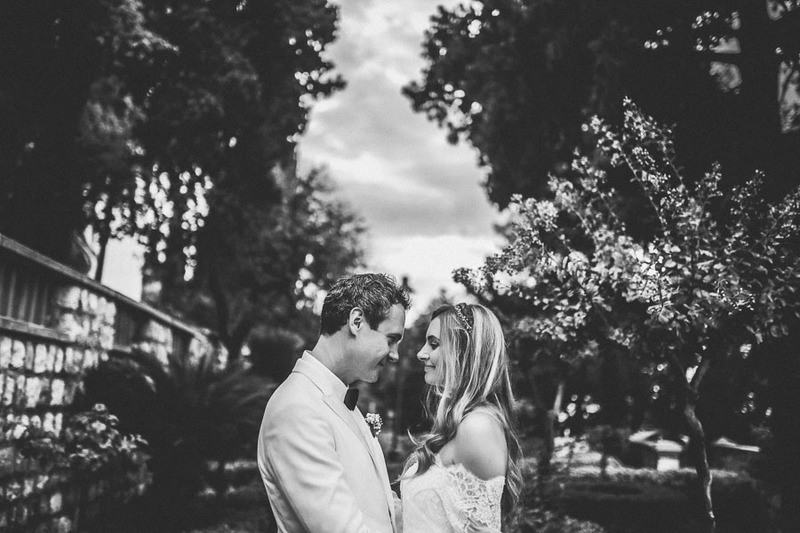 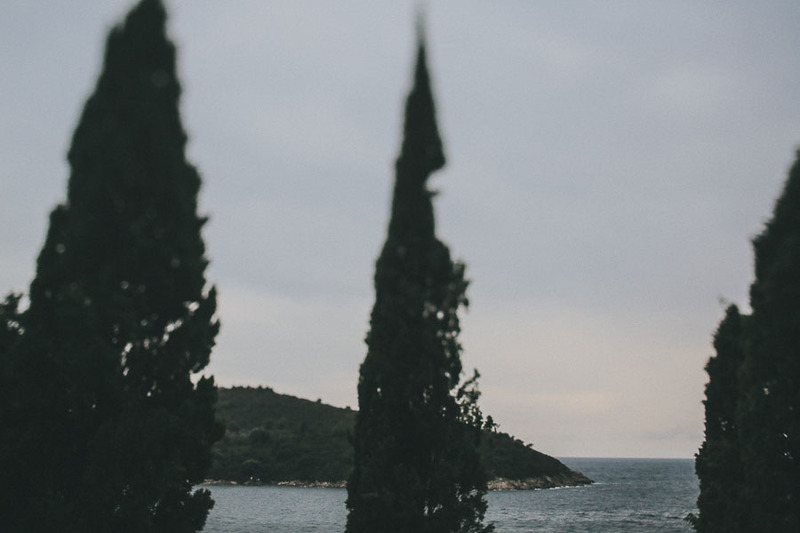 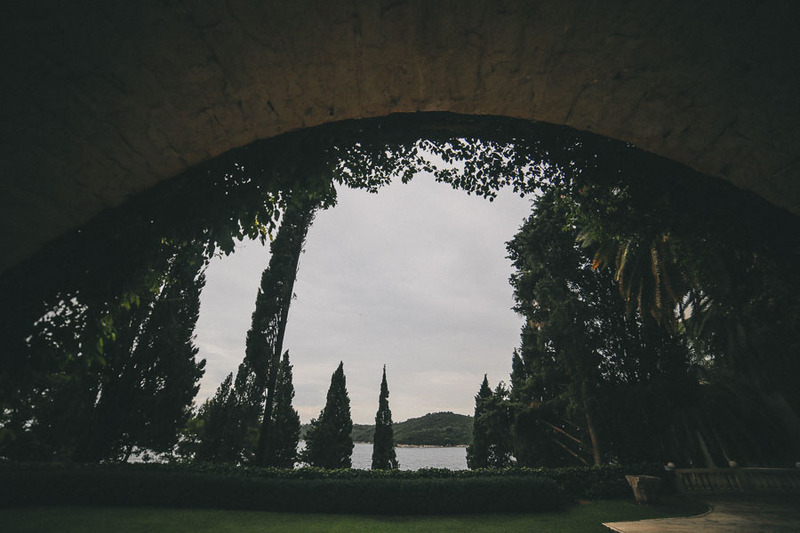 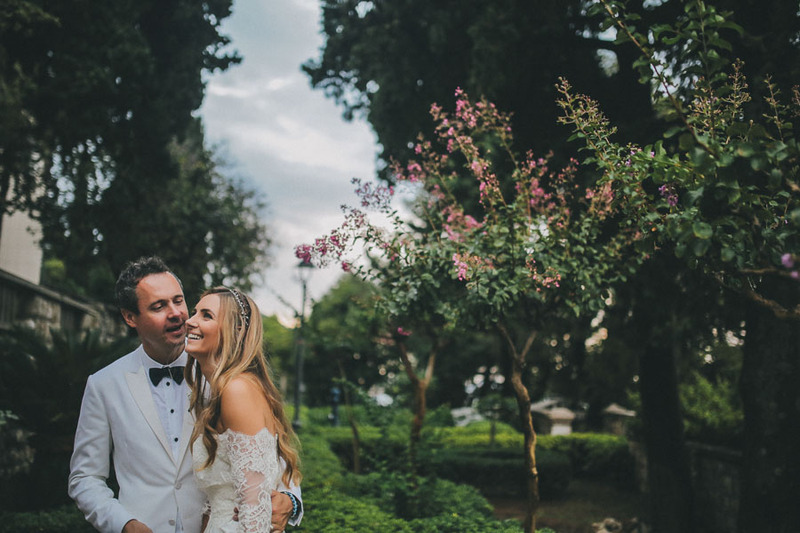 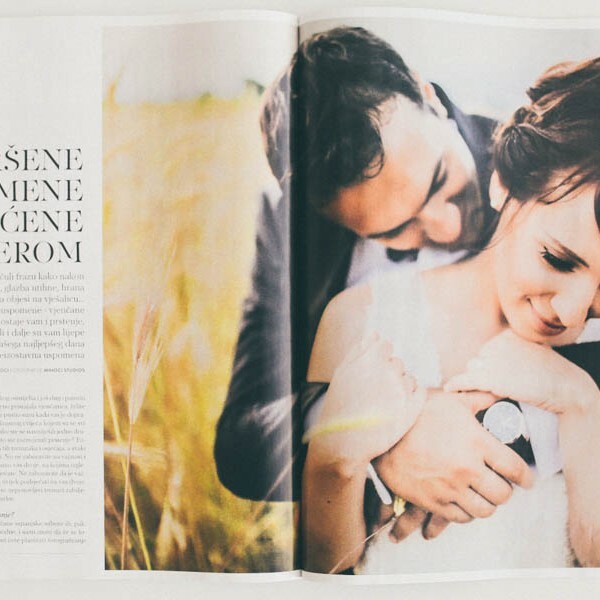 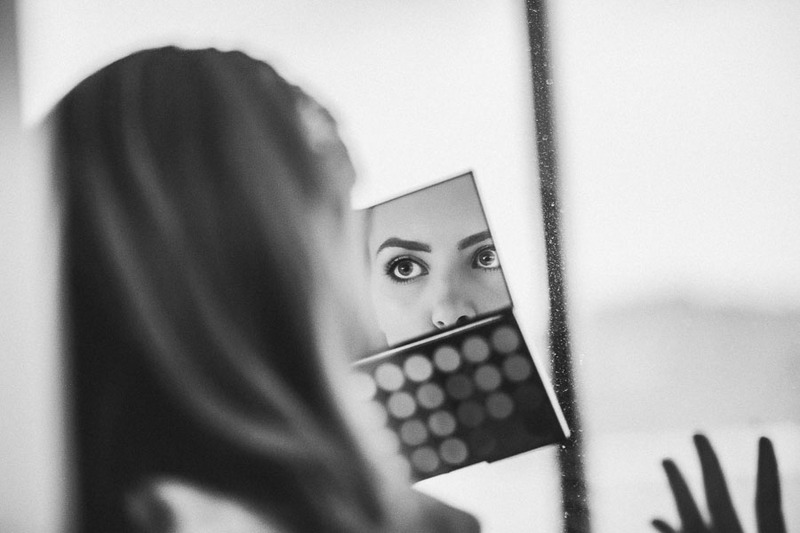 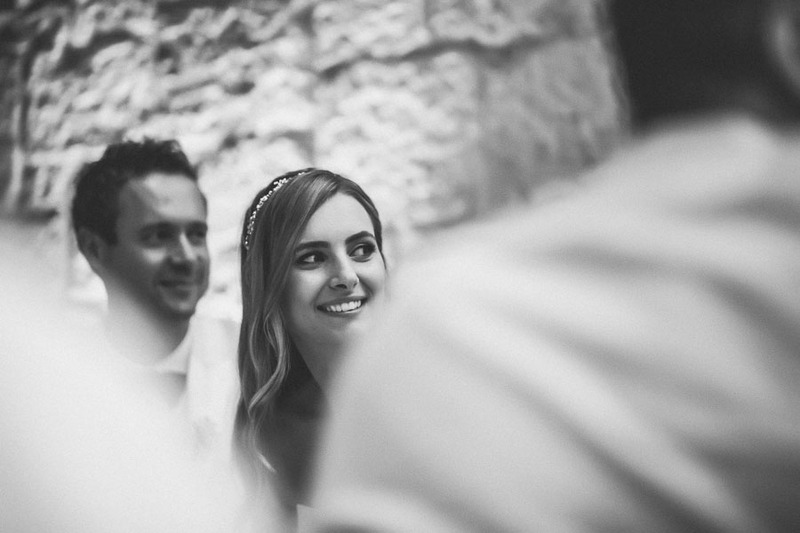 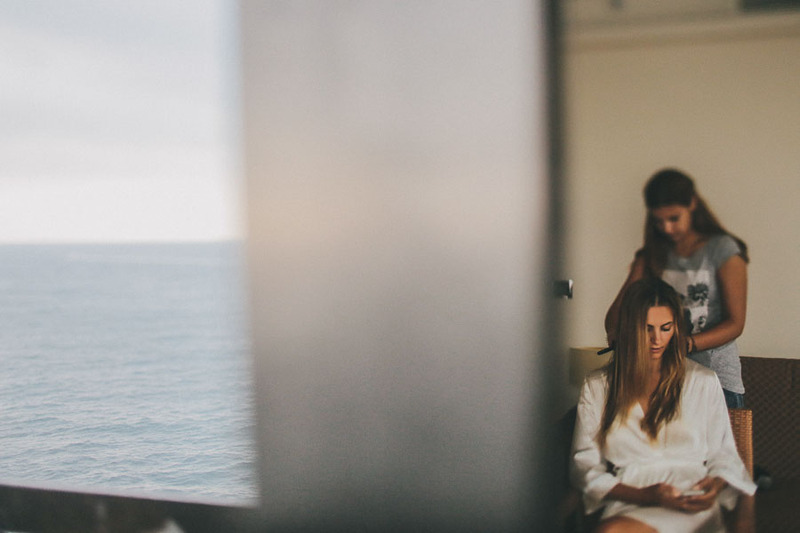 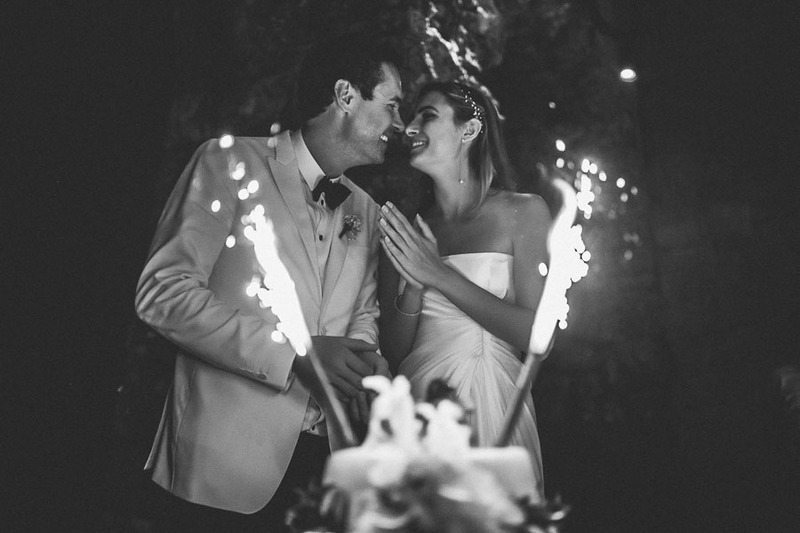 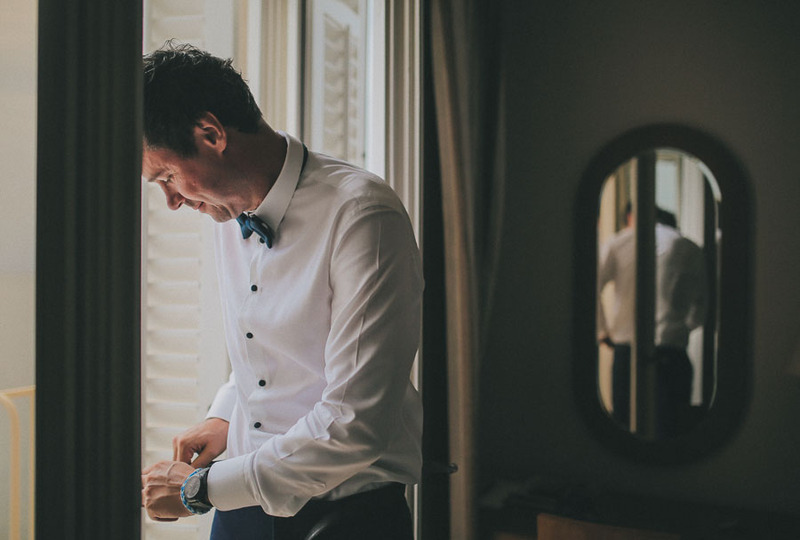 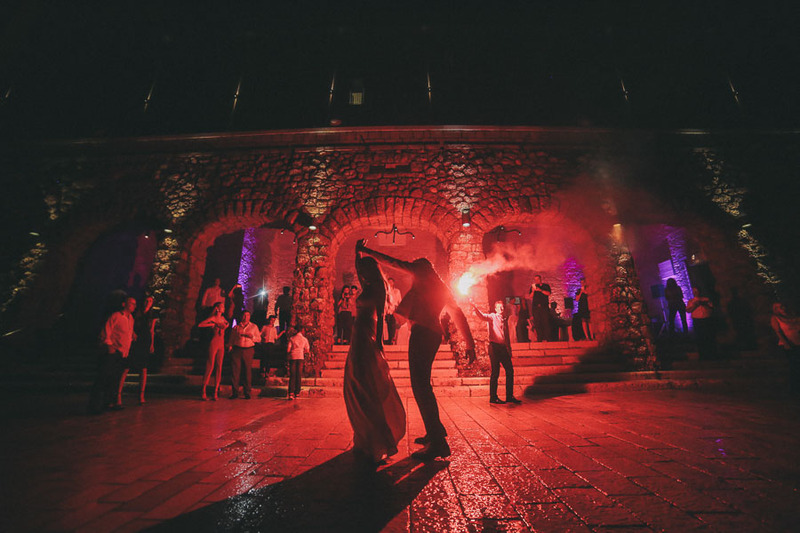 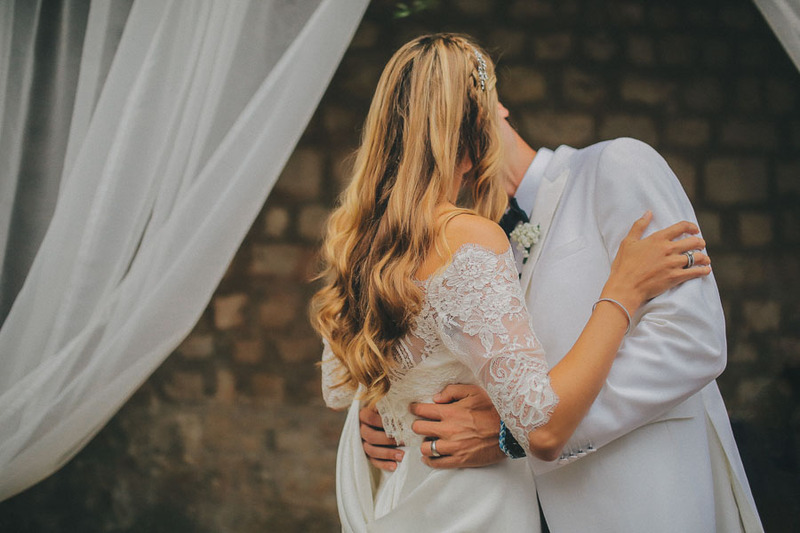 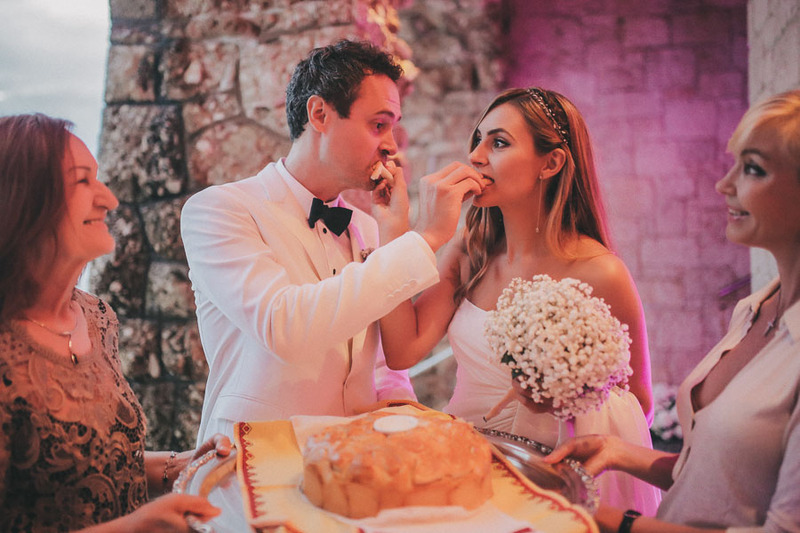 Vlatko & Alisa came from New York just to get married in the phenomenal city of Dubrovnik, beautiful city surrounded by walls located in the southern part of Croatia. 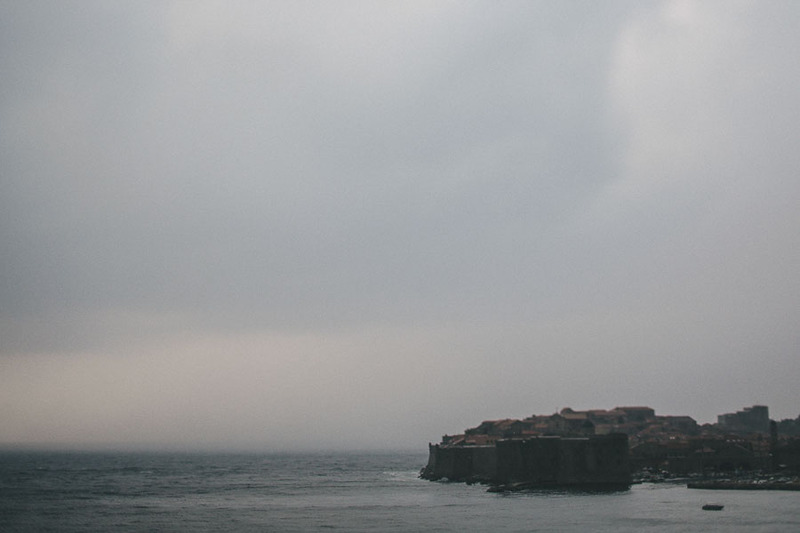 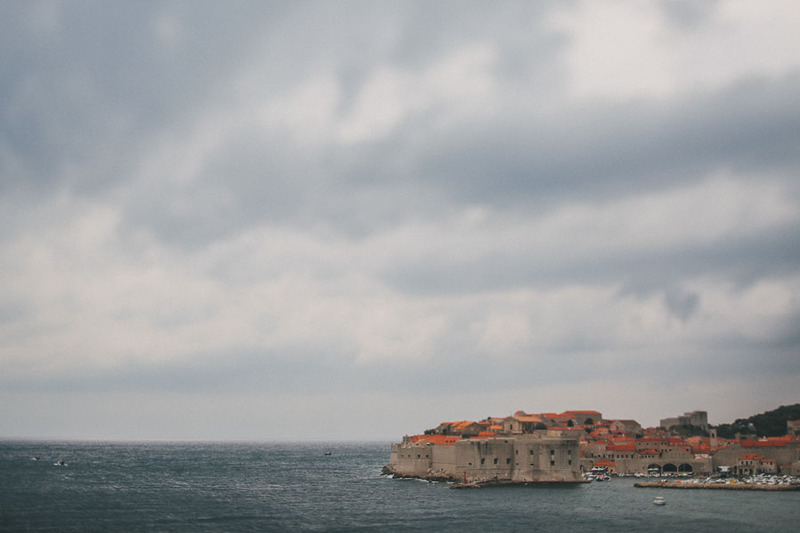 Dubrovnik is the antithesis of a city such as New York. 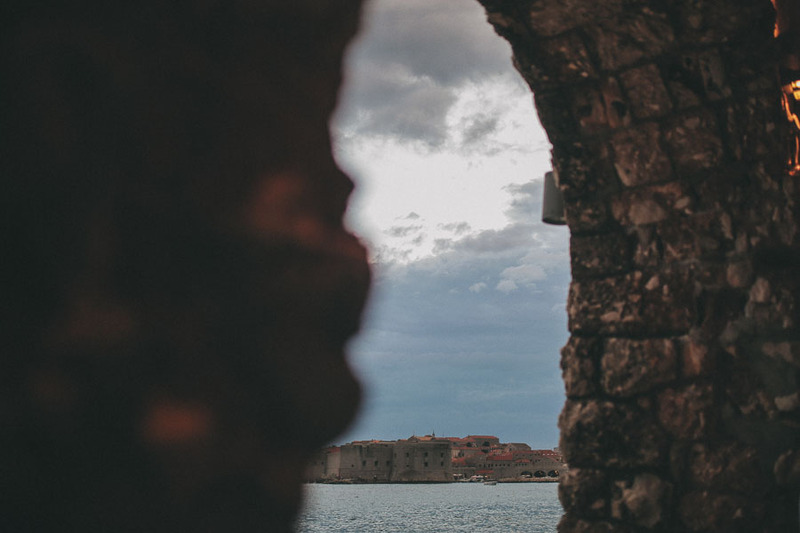 Throughout history it was a majestic city, naval hub and a home to many scholars and artists, today it’s part of the UNESCO heritage. 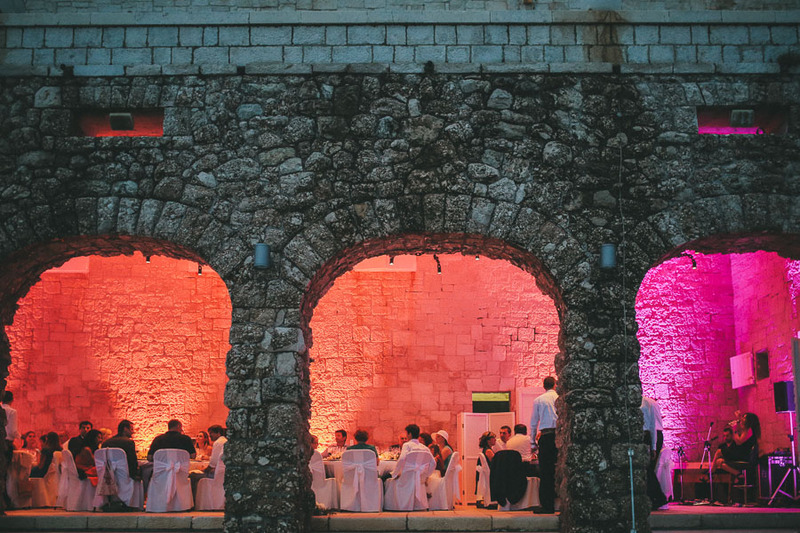 It’s surrounded by medieval walls that emerge from the crystal clear blue Adriatic Sea. 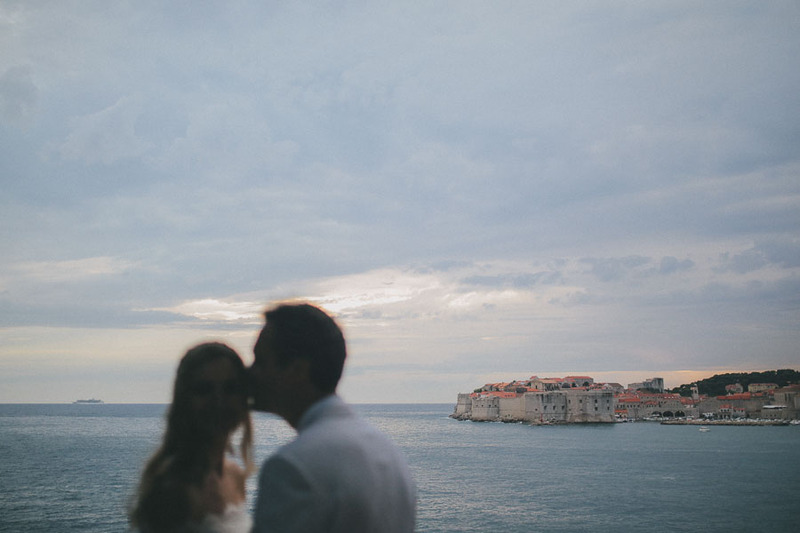 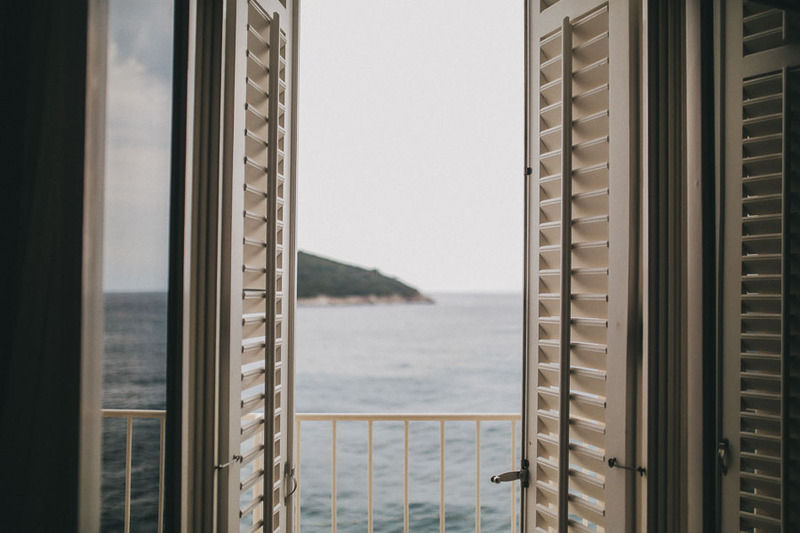 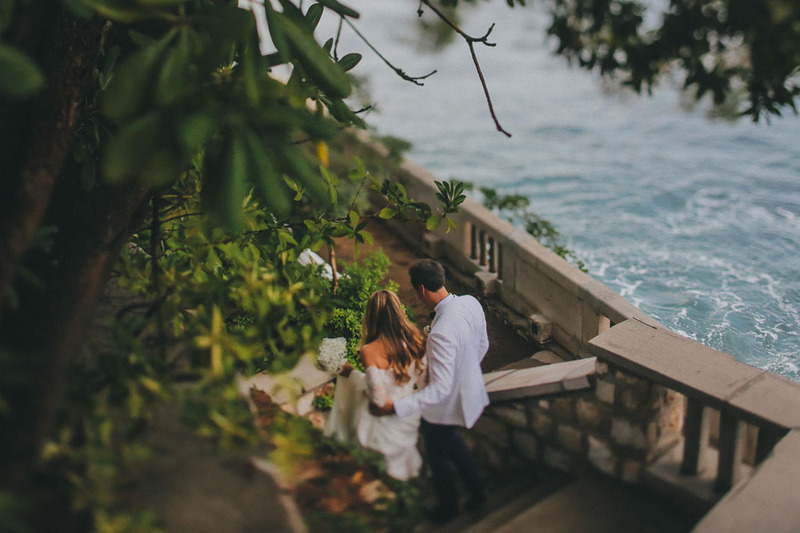 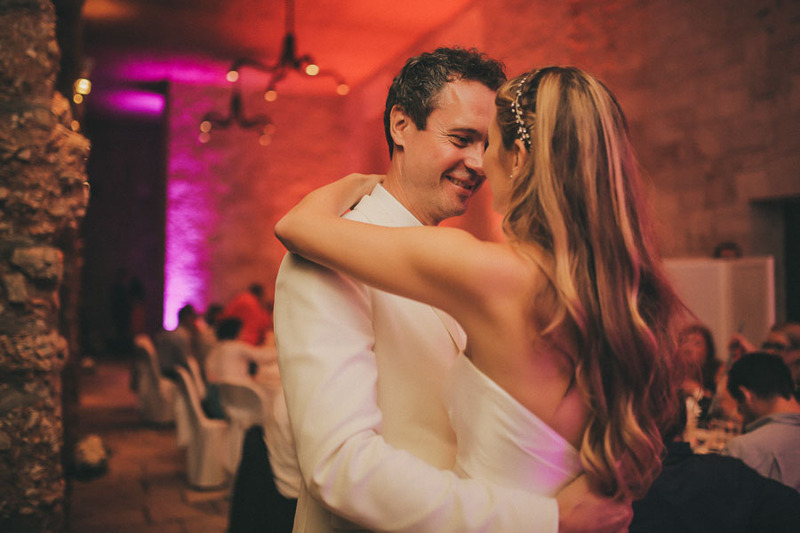 Vlatko & Alisa had a strong reason to chose Dubrovnik. 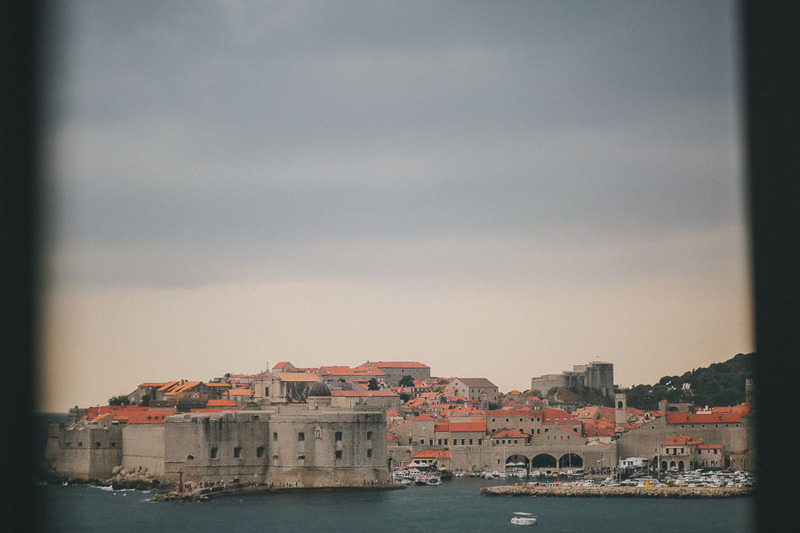 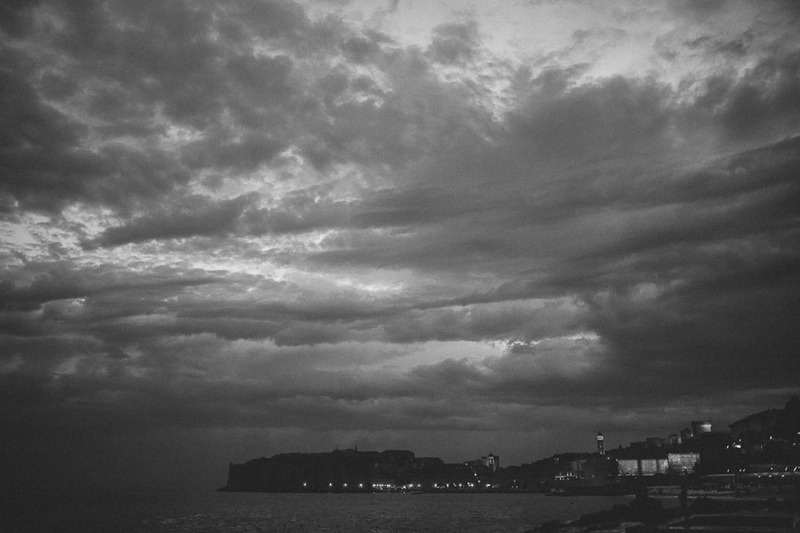 But some will say that they were unlucky because on that day in August, instead of the bright sun that normally warmed up Dubrovnik, a thick black cloud appeared and created an unexpected storm. 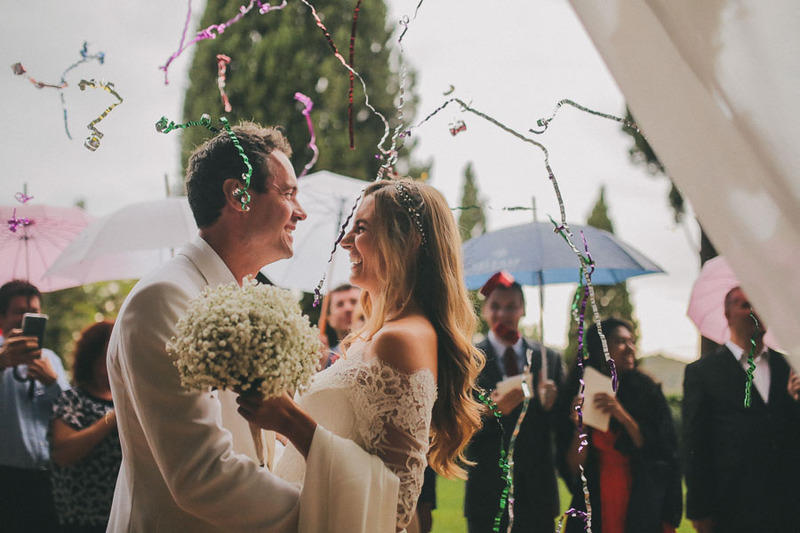 The wedding ceremony was planned out in the open, but outside it was pouring rain. 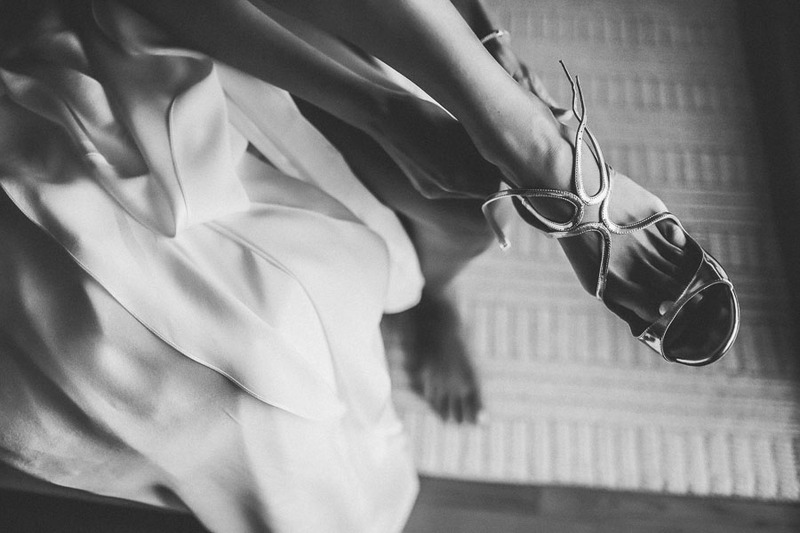 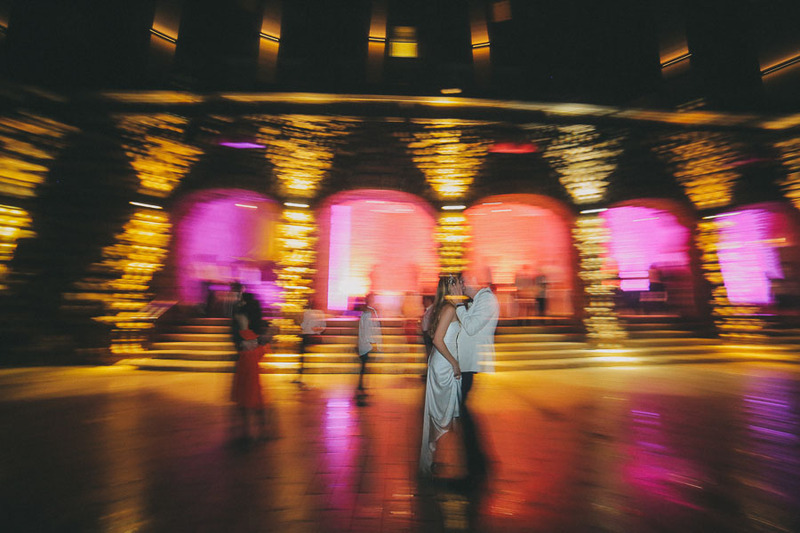 Well, if you ask me, this wedding was simply special. 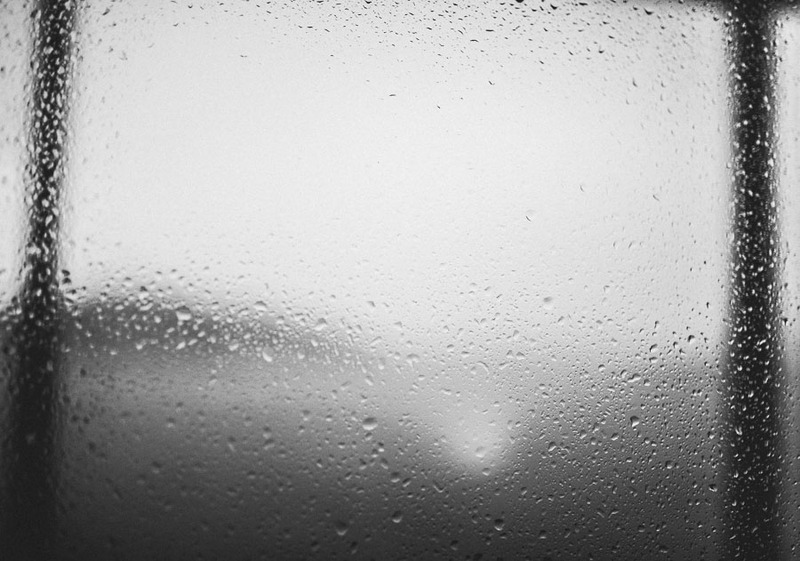 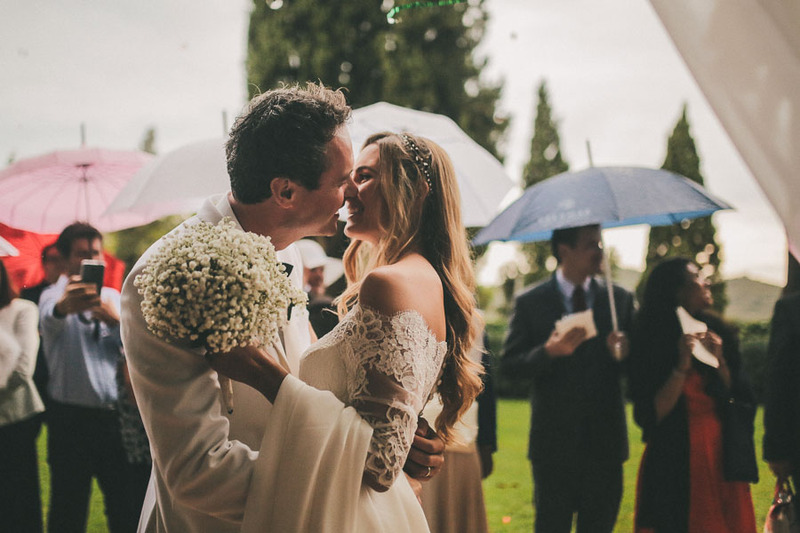 Yes, that miserable rain created a special and intimate feeling. 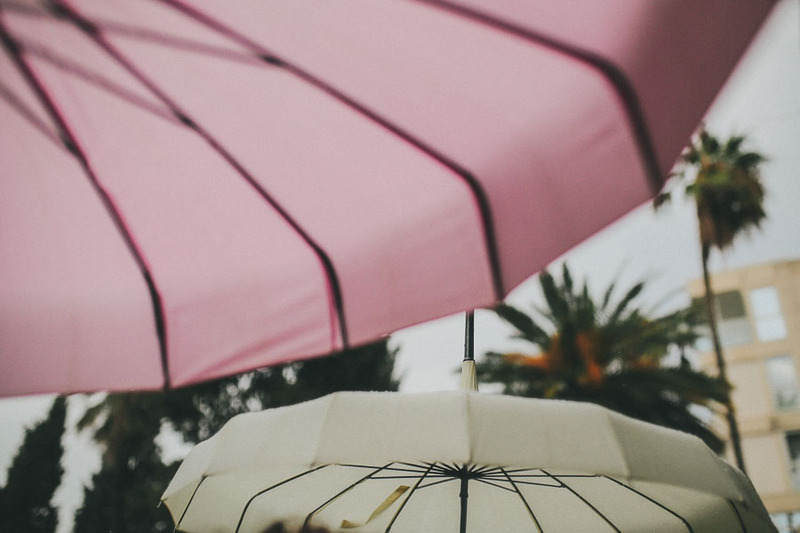 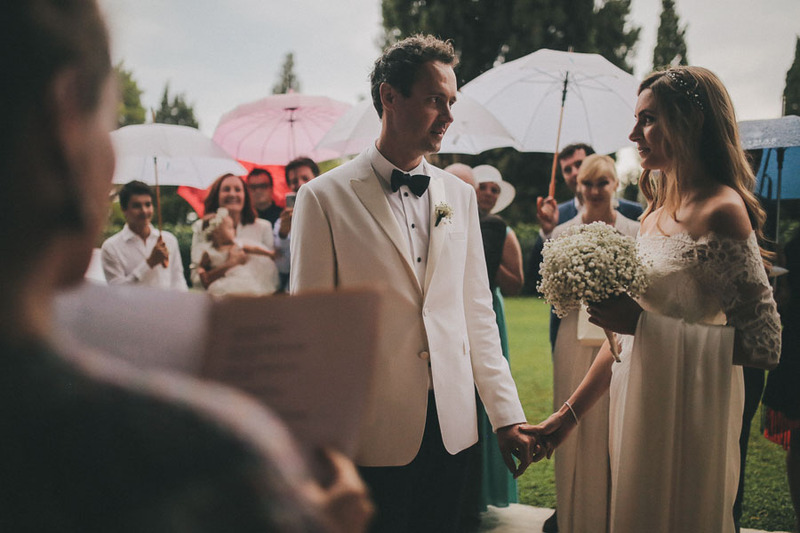 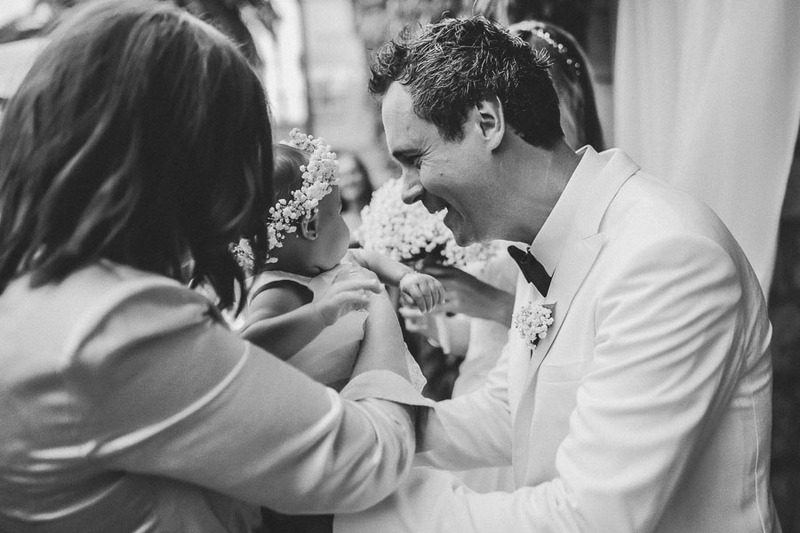 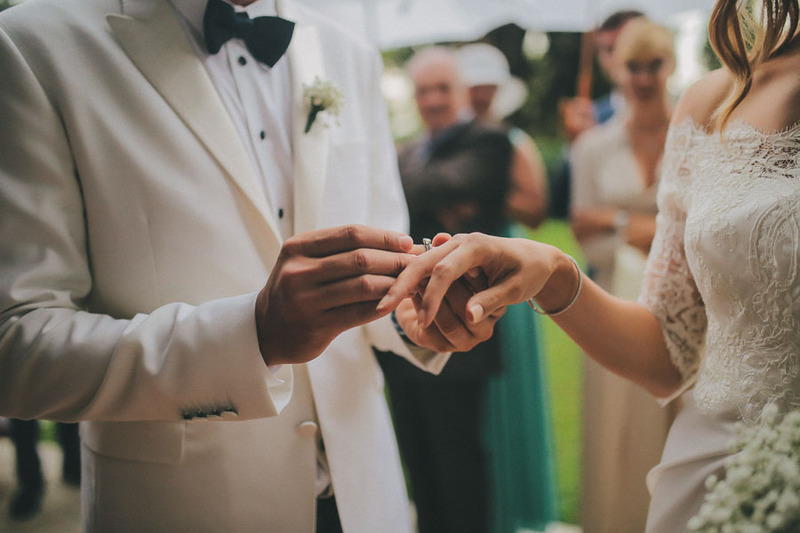 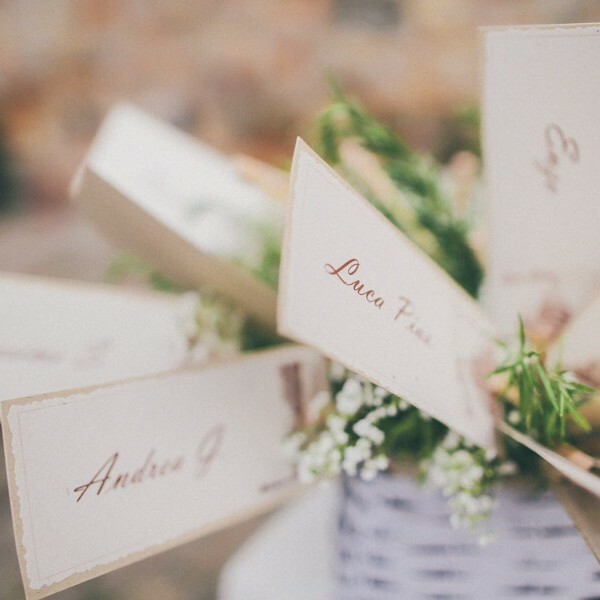 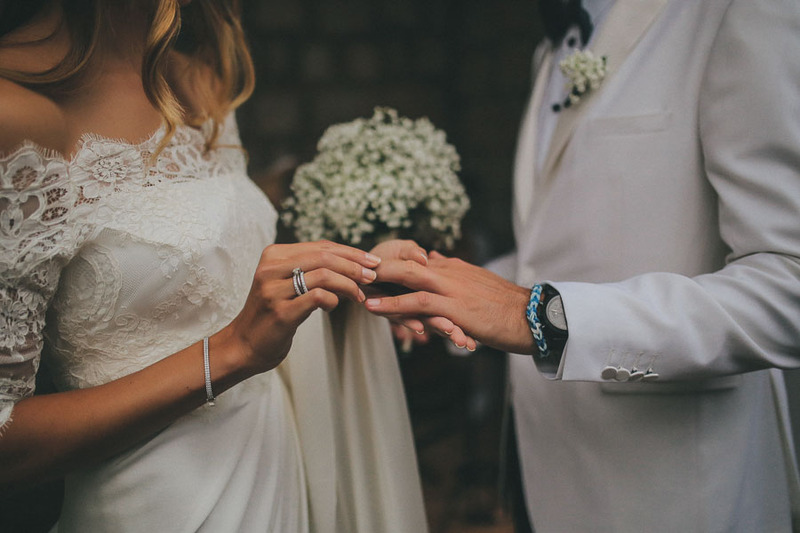 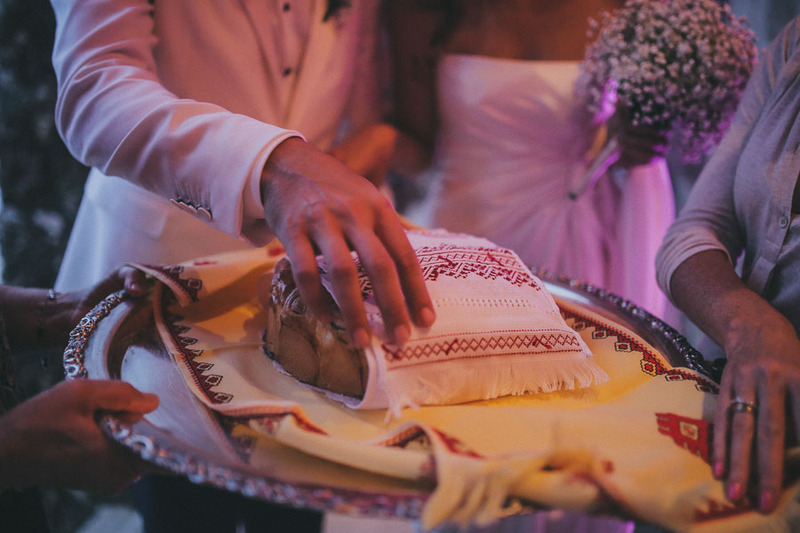 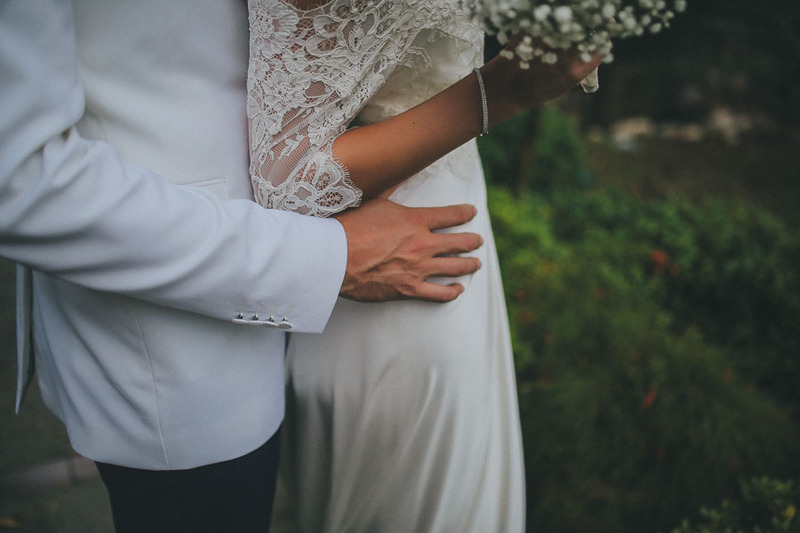 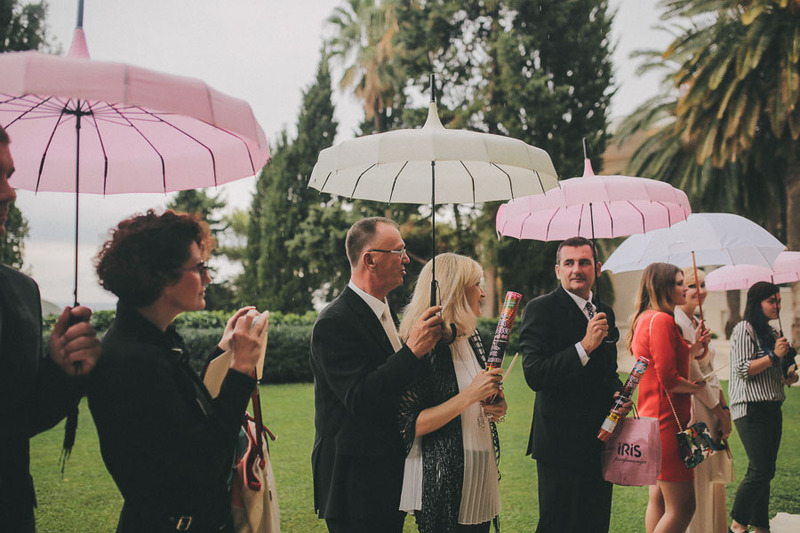 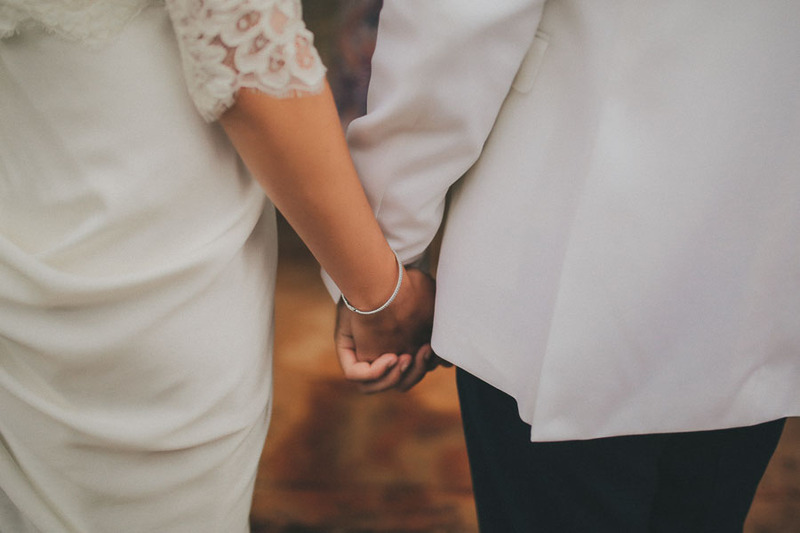 The ceremony remained as planned, in the open, and the guests were revealing their playful glances and smiles under white and pink umbrellas as beautiful Alisa walked towards Vlatko. 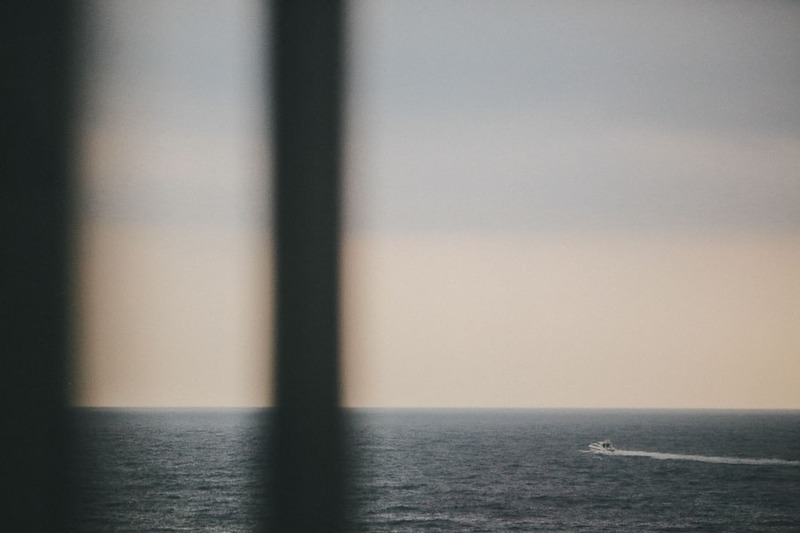 It was like we were in a scene from a movie. 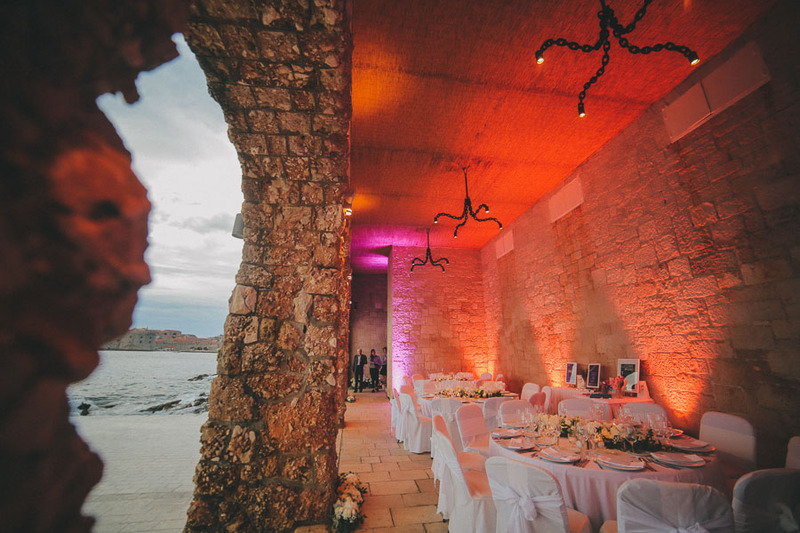 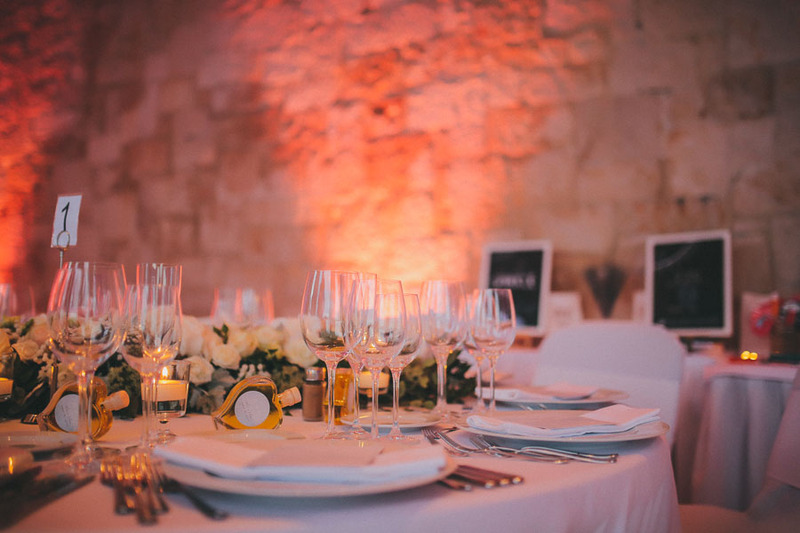 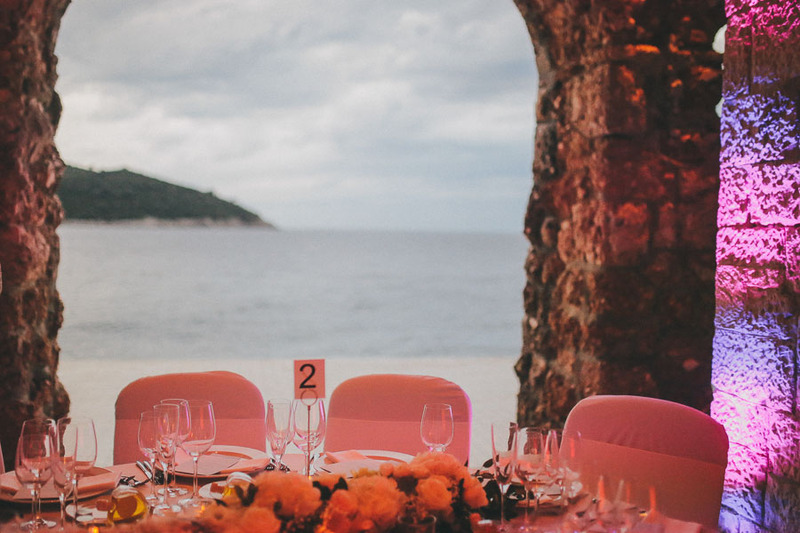 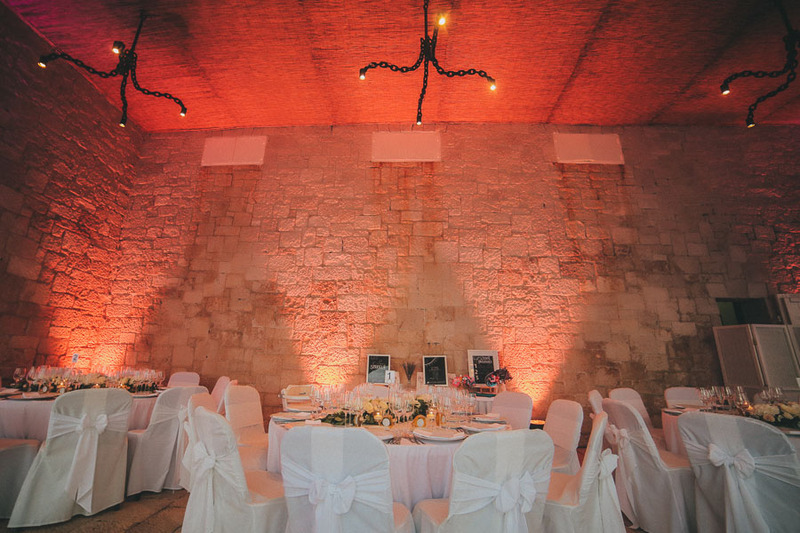 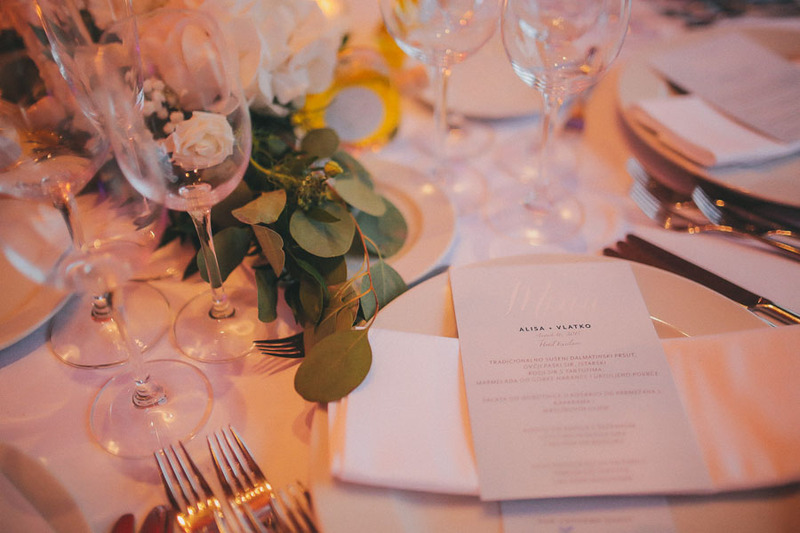 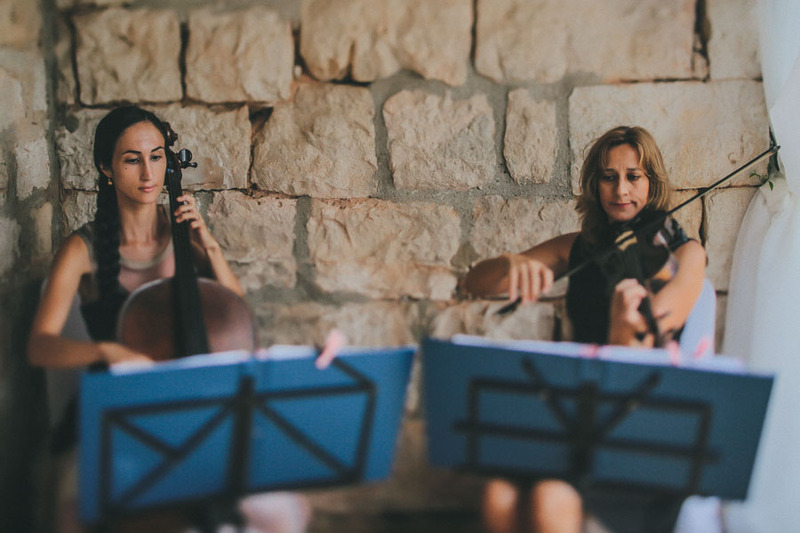 A slight clatter of rain could be heard mixing with the sounds of the violin during the ceremony, the dinner was served next to the sea with a view of the illuminated and wonderful old town of Dubrovnik. 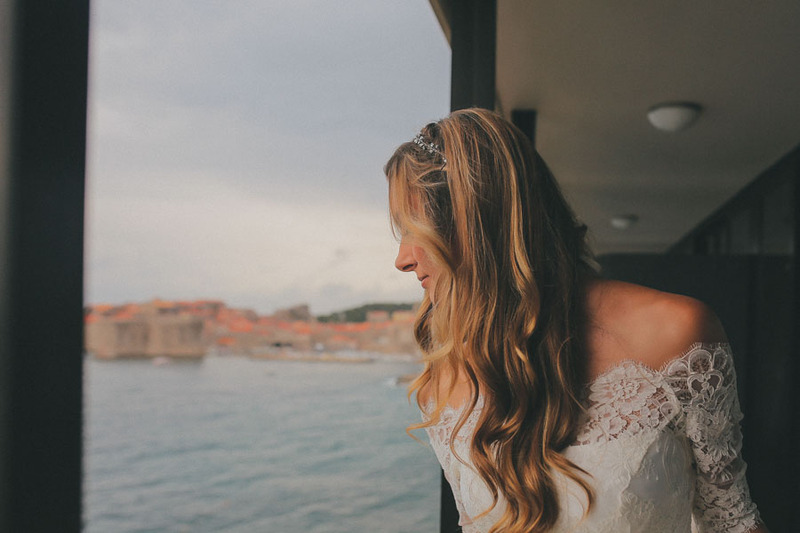 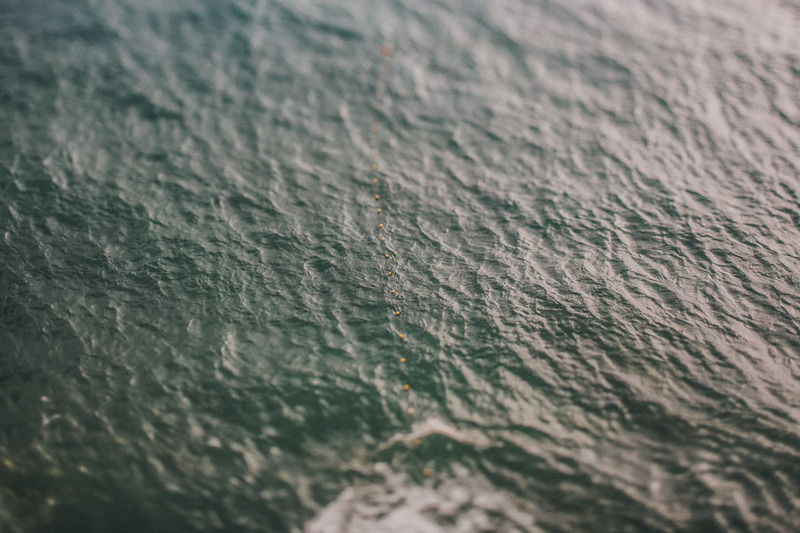 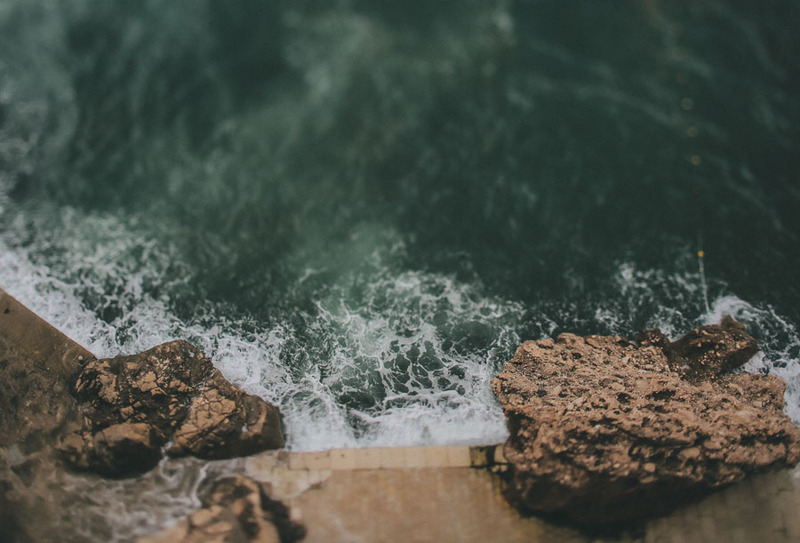 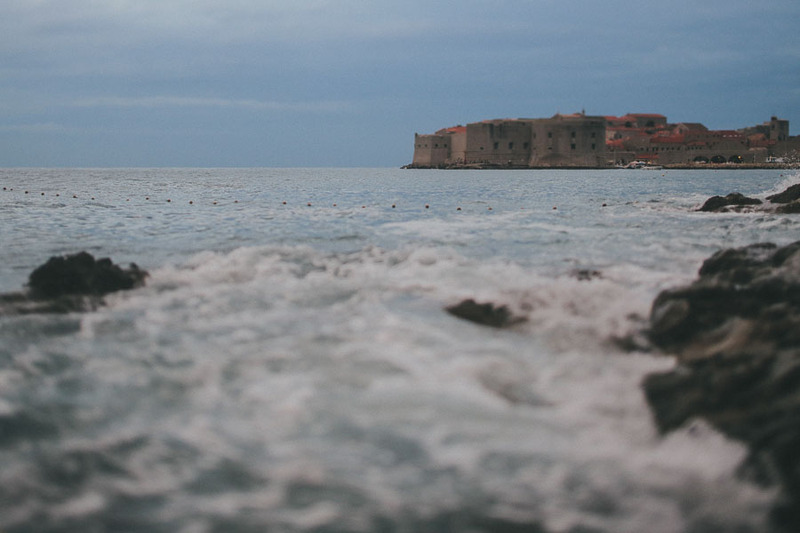 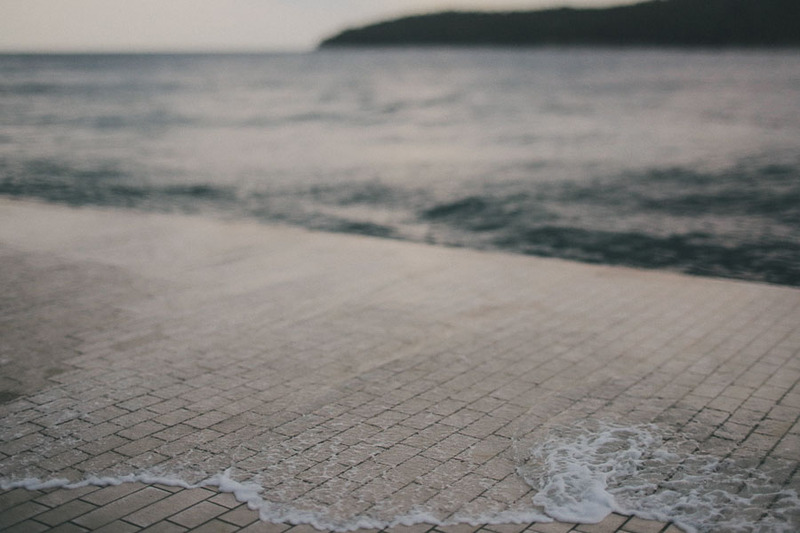 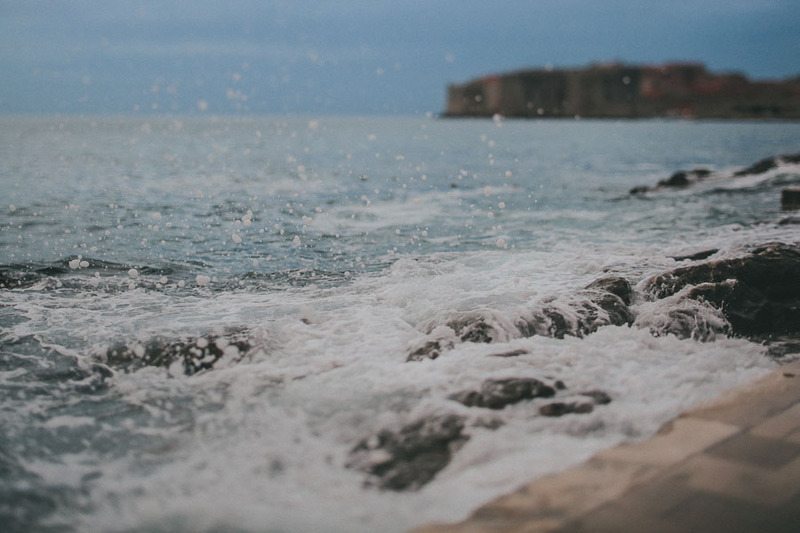 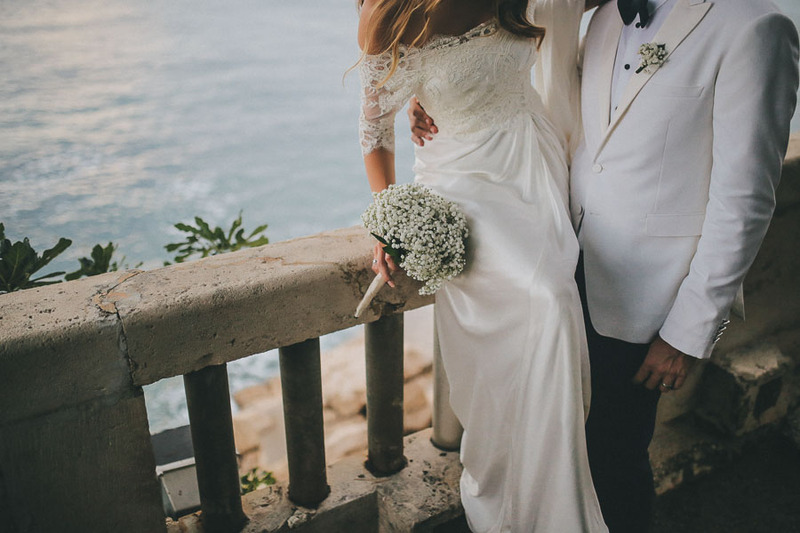 Rough waves were hitting the walls and the guests were enthusiastically photographing every part of this special atmosphere and the glimmering love of Vlatko & Alisa who, at the end of dinner, bravely walked out in front of the restaurant and danced in the rain.